The Central Southern Chinese province of Jiangxi is in a rather awkward part of the country. Bordering three of the nation’s better well-off provinces, Jiangxi itself has been rather slow in getting its transport network done right. 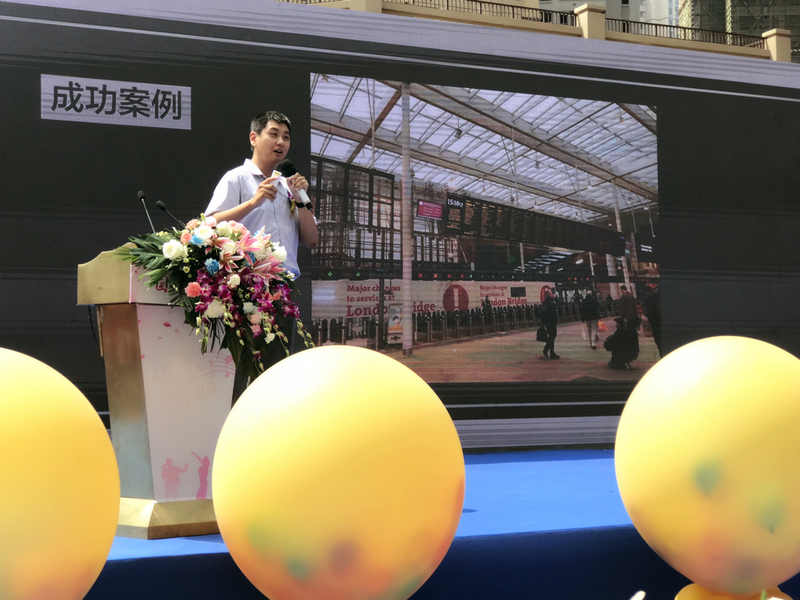 Before the old Beijing-Kowloon Classic Rail line was built, it was pretty much just forgotten and getting here literally took days in the 1990s — at the same time as Visas and MasterCards started to appear in Beijing and Shanghai. The current 4×4 HSR network only has one solitary west-east 350 km/h (217 mph) line, the Shanghai-Kunming HSR, coming into Jiangxi. (The north-south Hefei-Fuzhou HSR is not actually a true, “formal” part of the 2008 4×4 network.) 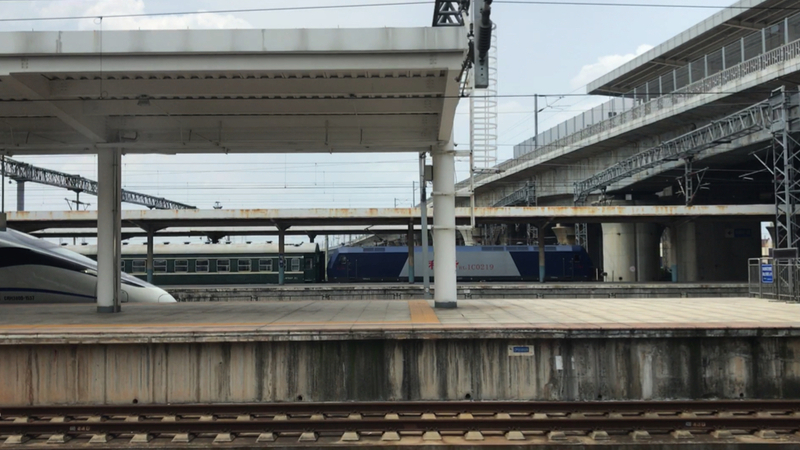 Never mind they intersect at the amazing Shangrao interchange, so far the sole multi-level rail interchange on the network managed as one station — Jiangxi is lacking the High Speed railway love its neighbours are getting. Some years back, a new 8×8 HSR network plan was officially approved. This added a few more 350 km/h HSR hub cities in Jiangxi, including Nanchang, the provincial capital, and Ganzhou, a bit of Jiangxi which is just maybe a few hours shy of Guangdong, that one of the most populated and well-off provinces in Southern China, if not across the entire land. 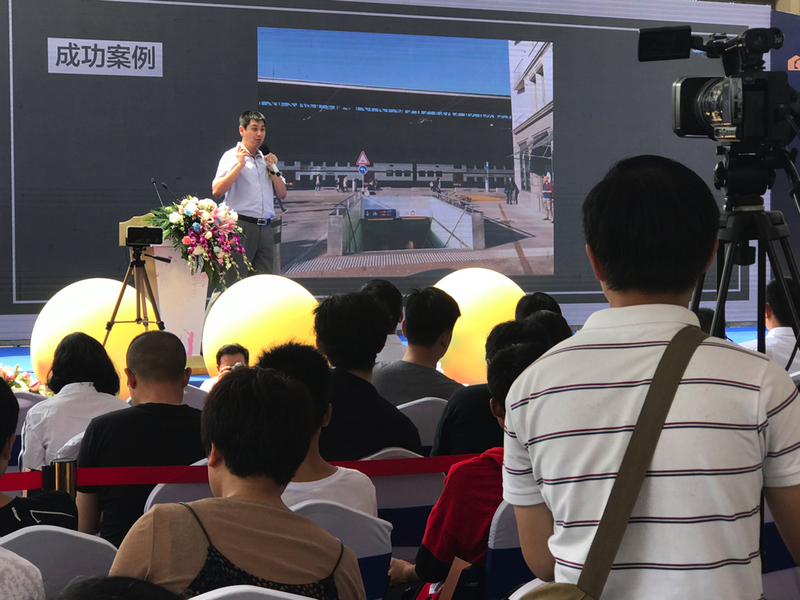 With Ganzhou to be a new HSR interchange pretty much rising from the middle of nowhere, local entities in the city wanted to make this a huge deal, so they invited me — and they made a huge effort and did all they could to roll out the welcome mat. I keynoted a rather unique HSR forum: they actually held it in the open (under the auspices of local businesses), but access to seating were restricted to high-level guests of honour as well as some members of the general public. 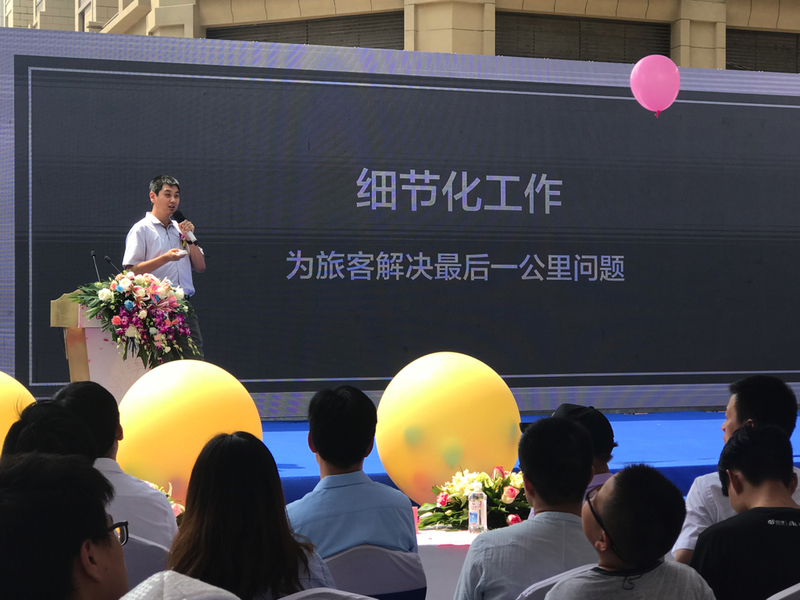 As you could see, a hub was in the making, so they had every right to make a huge noise about this — who wouldn’t, being situated on a new HSR line, now in the works, with direct links to not just the nation’s capital, but also to Northern China’s Xiongan New Area? So after a very brief welcome by the organisers, I went onstage keynoting the entire forum. In addition to being addressed by my academic and professional titles, they made an effort to refer to me in particular as a rail specialist, quite a title at that. 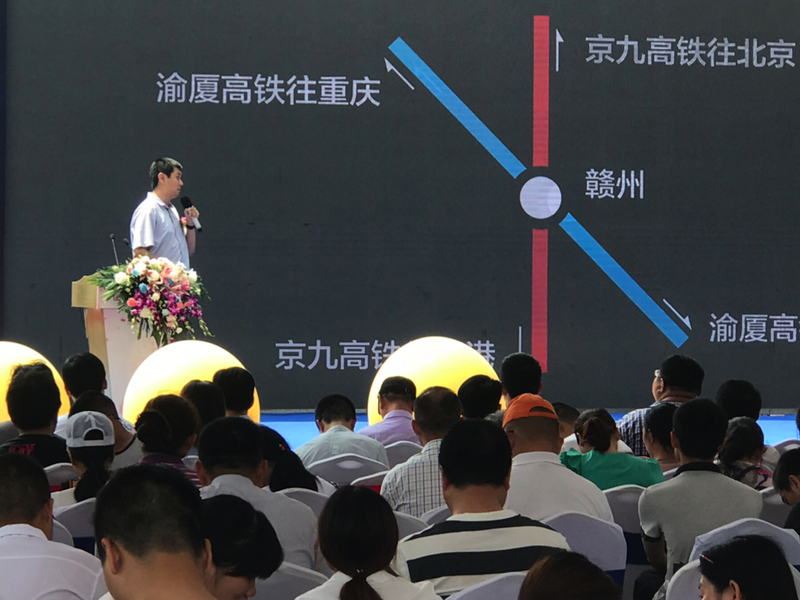 The 10-minute talk focused on quite a few things I wanted to get across: Ganzhou’s position in the national rail network, attracting international brands thanks to improve rail links, and cases of successful HSR transfer connections and benefits to the cities — with Weihai, Shandong in China being the local example, and London (two stations: London Bridge and the Stratfords) and of course Zürich, Switzerland, being the two international case studies certainly worth a look. But first, like many fact-obsessed Europeans, the stats, please. 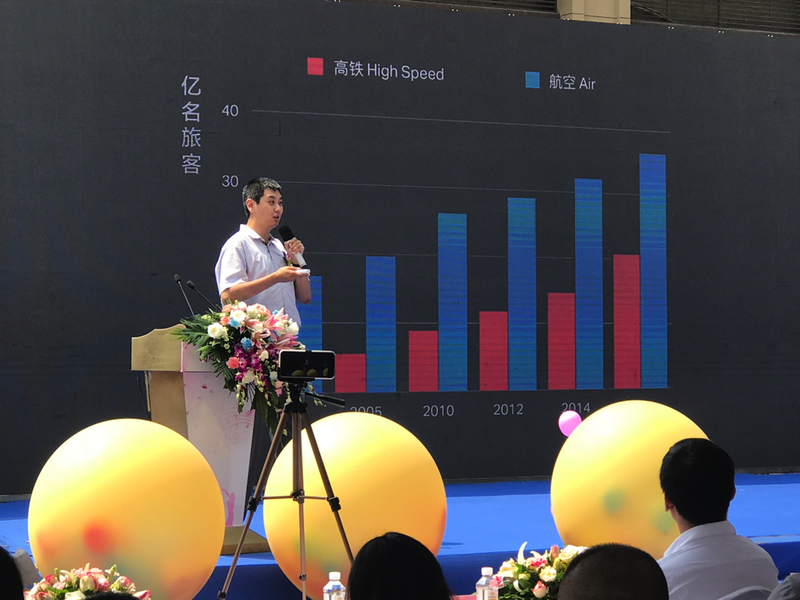 China’s HSR network may not yet be linked to the worldwide network (and international links were first planned in the very early 2010s, long before Xi Jinping’s Belt and Road was even born), but the massive popularity and surge in ridership contributed to worldwide figures, with recent patronage meaning ridership doubled, tripled, and grew even more by leaps and bounds. Of course, being a Swiss, I could not complete the talk without an obvious reference to the best sample of them all outside the EU, and that’d of course be Zürich Main Station in Switzerland. Right in front of the main, classic entrance to the station is the Bahnhofstrasse, or Station Street, with all the trams and tram stops in the world, and pretty much the most expensive and high-end shops conceivable to anyone, capitalist or otherwise. The other sample I touched upon were in the form of London stations: London Bridge, recently redone and reopened, as well as not just King’s Cross St Pancras (and Euston, too, if we want an element of High Speed Two), but also Stratford, where the Tube, DLR, Overground, Crossrail Elizabeth line, and National Rail trains come together, and through the massive Westfield shopping centre (nice fish and chips, but sh*t closing hours even over Christmas), to Stratford International station (rail and DLR). Details and going global were the two topics I touched upon. This seemed to be too much for them. 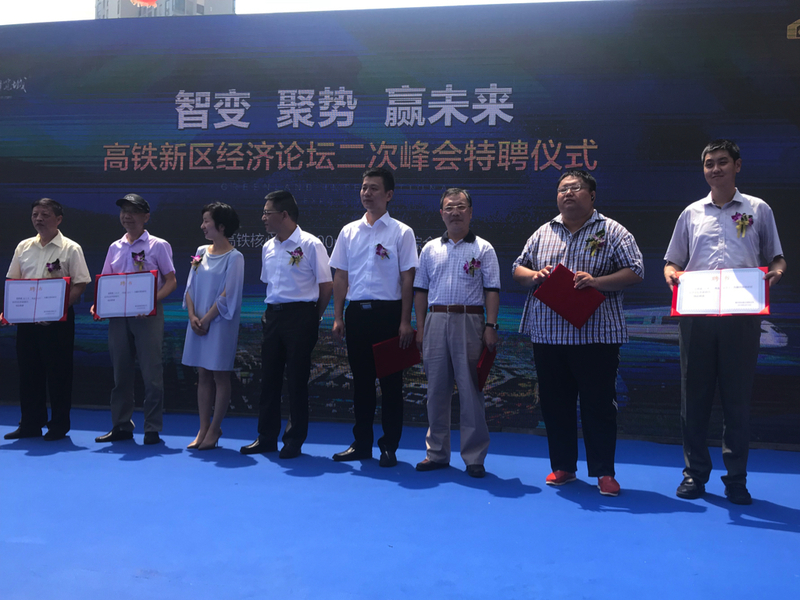 I was next appointed as a specialist and consultant to the forum and for the emerging Ganzhou High Speed Hub.